Astoria Community Board gives thumbs up to the proposal to build a ski slope in the neighborhood. QUEENS — Call it the Alps in Astoria. A ski slope may be coming this winter to Astoria if a proposal — which Community Board 1 in Queens has approved, but is still bogged down with many logistical questions — gets off the ground. Sugarbush, a Vermont-based ski resort, is considering building a temporary slope covered with artificial snow in Astoria Park, community board representatives said. The slope would follow the natural hill in the park and the resort would offer free skiing instruction for children. 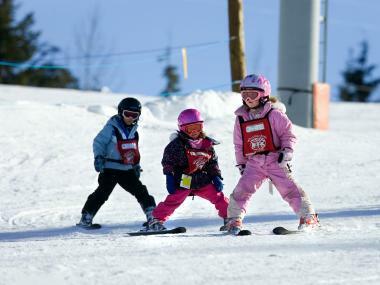 Skiing classes would be available for children between the ages of 8 and 10, and families would have to sign up. The classes would be offered Saturday and Sunday mornings. During the week, the slope would be available to the public, Hartmann said. Jules Corkery of the Astoria Park Alliance said the company would also install trailers, which would provide a changing area and storage for the equipment. “It’s never been done here before,” she said. Getting community board approval is just the first step. Now the city must clear it before it can become a reality. The Department of Parks & Recreation referred DNAinfo.com New York to the City Parks Foundation, which said in an e-mail that the ski slope in Astoria Park was just a proposal and that it had not yet been confirmed whether the agency would be running the program. Sugarbush Resort officials did not returned a phone call seeking comment.